Photo MCRC-5.1. 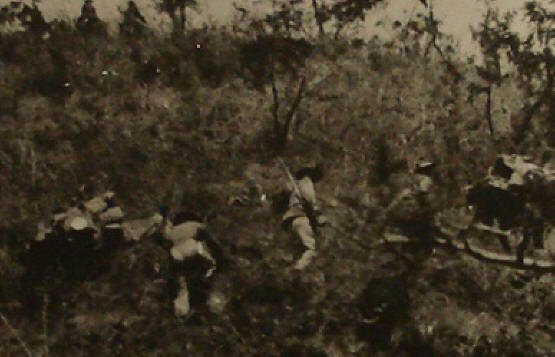 Marines and Voluntarios near Somoto. "Lieut. 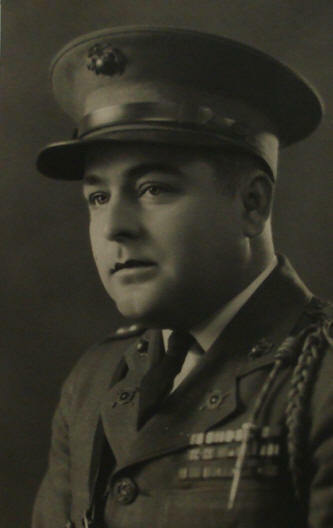 Maurice Magragigi, Vol., Capt. 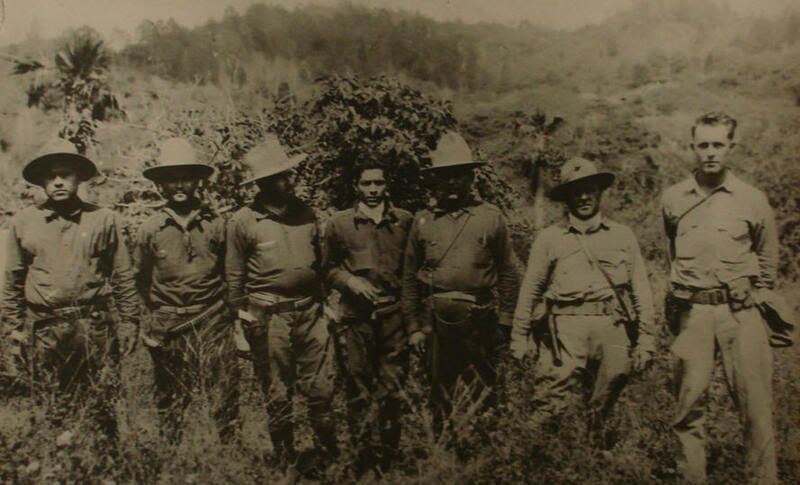 Jose Espinosa, Vol, Colonel Cordero, Vol, Colonel Castillo, Vol., General A. Caldera, Vol., Captain Geo. 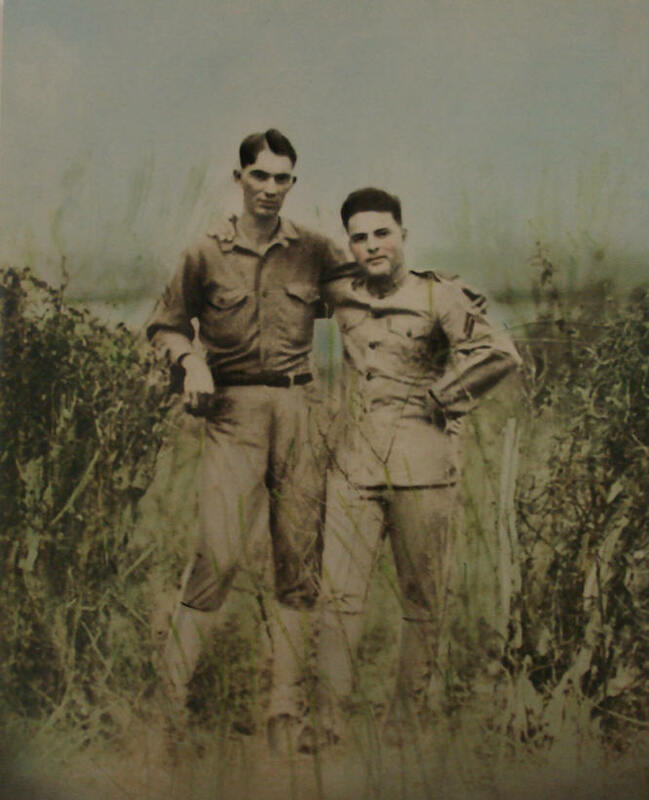 F. Stockes, U.S.M.C., 1st Lt. M. L. Dawson, Jr., U.S.M.C." Five voluntario jefes & two Marines. "Lieut. 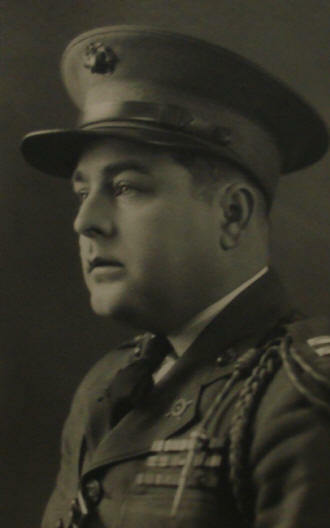 Maurice Magragigi, Vol., Capt. 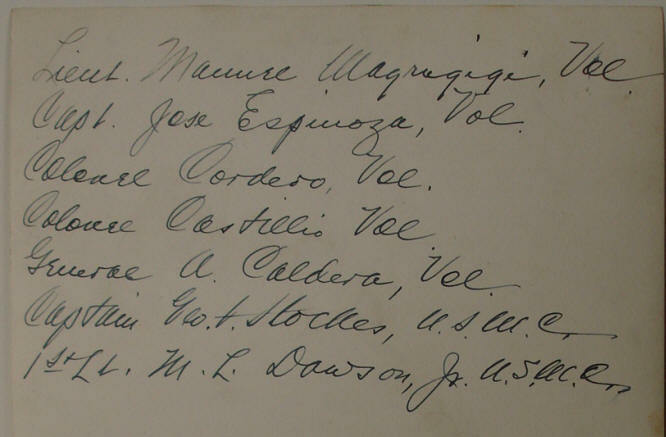 Jose Espinosa, Vol, Colonel Cordero, Vol, Colonel Castillo, Vol., General A. Caldera, Vol., Captain Geo. F. Stockes, U.S.M.C., 1st Lt. M. L. Dawson, Jr., U.S.M.C." Photo MCRC-5.2. Patrol to Paredes. 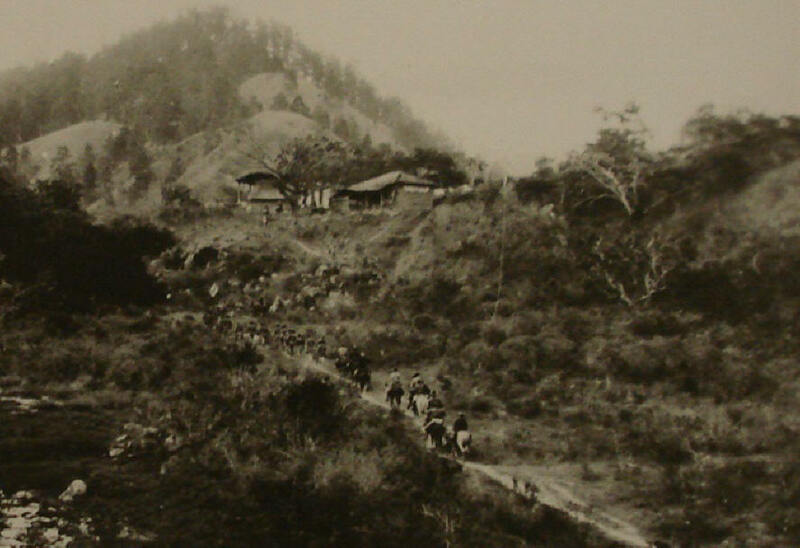 A wonderful photograph, in the Western Segovias near the Honduran border. Photo MCRC-5.3. 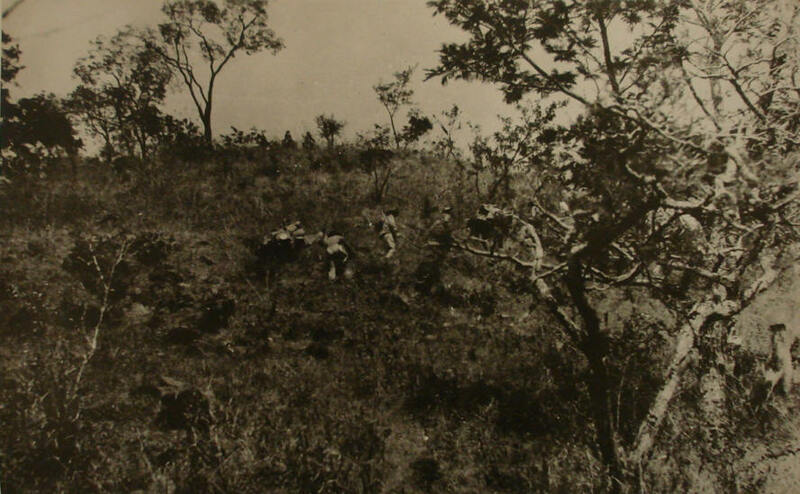 Marines clambering up hillside. Some rugged hills to climb. Photo MCRC-5.4. Colorized photo of Capt. Stockes and another Marine officer. Photo MCRC-5.5. 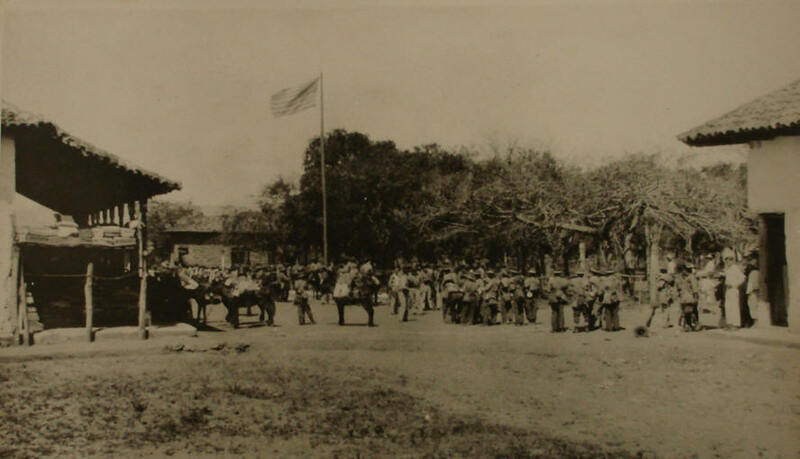 Troops in town square, Somoto. Rear reads "Somoto." A marvelous photo. Photo Cluster MCRC-5.6. Formal photographs of Captain George F. Stockes. 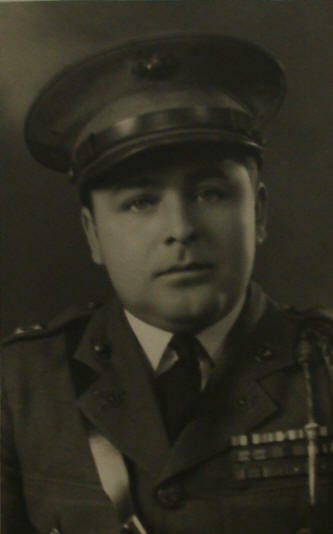 Three formal photographs of Capt. Stockes. 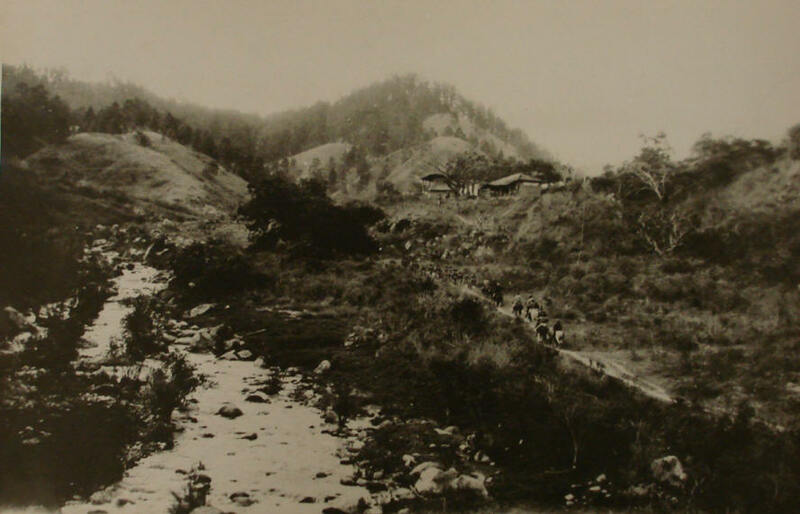 of the photographs of Marine Corps Captain George F. Stockes.